Ada pertanyaan untuk Florentina Homes? Terletak strategis di area restoran, pantai, melihat-lihat di Dumaguete, Florentina Homes menyediakan tempat yang kondusif untuk melepas penat dari kesibukan Anda. Dari sini, para tamu dapat menikmati akses mudah ke semua hal yang dapat ditemukan di sebuah kota yang aktif ini. Dengan adanya obyek wisata utama kota ini seperti Desa Sidlakan Negros, The Christmas House, Klub Golf Angtay dan Driving Range yang sangat dekat, pengunjung akan sangat menyukai lokasi hotel ini. Florentina Homes menawarkan pelayanan sempurna dan segala fasilitas penting untuk memanjakan para wisatawan. Sejumlah pilihan fasilitas kelas atas seperti layanan kamar 24 jam, WiFi gratis di semua kamar, resepsionis 24 jam, check-in/check-out cepat, penyimpanan barang dapat dinikmati di hotel ini. Semua akomodasi tamu dilengkapi dengan fasilitas yang telah dirancang dengan baik demi menjaga kenyamanan. Hotel ini menawarkan berbagai pengalaman hiburan unik seperti kolam renang luar ruangan, pijat. Fasilitas super dan lokasi yang istimewa menjadikan Florentina Homes tempat yang sempurna untuk menikmati penginapan Anda selama di Dumaguete. 1) STAFF WERE COURTEOUS, FRIENDLY AND ACCOMMODATING. 2)TV SHOULD BE UPGRADED TO FLAT SCREEN, AT LEAST. THE OLD TV PROVIDED WOULD FREEZE IN SOME CHANNELS AND THE SOUND VOLUME IS DEFECTIVE. 3) ALL REMOTE CONTROLS NEED CLEANING, WITH NEW BATTERIES. THE TV & CABLE REMOTE CONTROLS ORIGINALLY PROVIDED WERE DEFECTIVE. THE REPLACEMENTS NEEDED TO BE PRESSED REALLY HARD TO WORK. THE CHANNEL CONTROL WERE EQUALLY DEFECTIVE. 4) WE PREFER ELECTRIC THERMOS FOR HOT WATER INSTEAD OF HAVING TO BOIL WATER THRU KETTLE OVER GAS STOVE. 5) WE'D APPRECIATE SOME TEASPOONS OR STIRRERS FOR COFFEE & DRINKS, AS THESE WERE NOT PROVIDED. You will see it and you will love it. The whole block of houses makes you feeling like entering into a theme park. The colourful decoration goes through to the smallest detail in your room. At the same time, special attention has been paid to full functionality, comfort and convenience, e. g. by having a hook in the bathroom (as an extension of the shower curtain rod) and by providing a hair dryer as standard. One free coffee per person was in the room. The staff was very friendly and knowledgeable (e. g. about jeepney prices). Pick up and drop off within Dumaguete city are free. Be aware that there might be mosquitoes in the room, but if you inform the staff, I am pretty sure they make it mosquito free. There is a good restaurant in the quiet square which is part of the compound of houses of the "homes". I am especially recommending this hotel for travellers with children and those travellers having a child inside themselves. You can see the passion of the owner in all details. The accomodation is nicely decored. the staff were friendly and offered free shuttle to and from the airport. Unfortunately, our family room was close to the main road and entrance of the lobby. We did not get much rest as you can hear the vehicles and people talking outside. Not great for young kids. PROS: Perfect location. Gabby's Bistro is a great place to eat and is located next to it. The staff were attentive and pleasant to deal with. The rooms are compact and nicely designed. CONS: The sheets smelled funny. Like it didn't dry properly. I'm not quite sure how to describe it. People who are checked in can use the Oasis Pool free of charge. I checked in with 2 additional children for P350/each. But apparently, the additional people still need to pay the entrance fee for the pool worth P200 each. Overall, it was an okay place to stay but there are better options with the same price range. The apartelle is very good if you have kids.Has a full kitchen including pots and pans,cups,dishes,utensils. good if you want to budget by cooking "at home".Even has a sink out back to handwash your laundry with clothesline. And balcony out front with lounge chair and table.Plugs and switches are accessible everwhere. I just don't know where to begin but our experience was truly wonderfully amazing. 'Twas indeed worth our tine and money. In fact, we get more than what we paid. The place offers great ambiance with beautiful landscapes and exquisite displays of sophisticated designs. Everything is so colorful down to the littlest details of the hotel. Everywhere you look is picturesque, dusk till dawn. Elegant fine dining at a very reasonable and affordable price. The hotel crew and their service were all great, fast, and excellent. It's really worth the while leaving our lips with a smile. Really nice atmosphere. Showers stopped working well after a couple days but we were fine. The fact the a place is cheap and not a 5 Star hotel, does not mean it can / should disrespect the basic accommodation. The sink stank from sewage, the room was moist and smelled from dampness, bed sheets were stained, and there’s near zero isolation. Every reception talk is well heard from a bed in the second floor. We paid for a room with round transportation and found out it’s only in specific hours. After talking to the reception they agreed to take us with the van to our flight in the early morning. Sorry, but even this kind of cheap does not justify such level of a room. This hotel is very cutely designed and hotel staff are very friendly and helpful. We enjoyed staying there. Food is also good. To go to downtown, you can ride a tricycle. P10 per person. But to go back to the hotel, tricycle drivers often ask you to pay more. In our case, we were often asked to pay P50 to go back to the hotel from downtown for three of us. They have free airport shuttle which was the best. The room was a bit small but it was okay compared to the money i spent. Not a ideal place if you are looking for fancy resort type of hotels but perfect place if you have a flight next day. Only downside is they don't provide towels when swimming in the pool. You need to use the ones supplied which is only up to 4 adults. We were 4 adults and 1 child. Additional towel will cost you 100 pesos. We could have enjoyed our stay in the hotel but not all rooms are comfortable. Some are so tight and some are really nice & spacious! Air conditioning on some rooms are leaking. Overall, it's OK. Just make sure to replace leaking air conditioners. 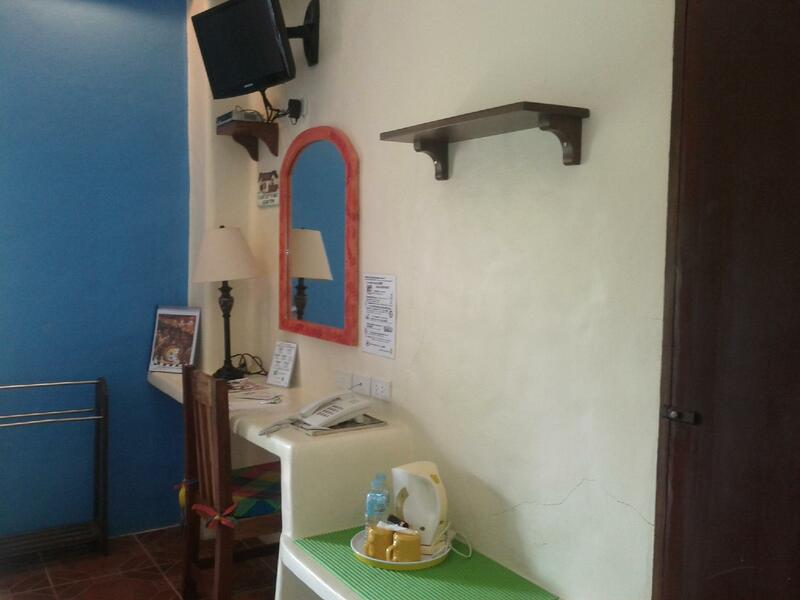 We needed a place to stay in Dumaguete before heading south. We were very impressed with the 2 bedroom apartment. Great price for a big space. Small pool was great, kids were happy. 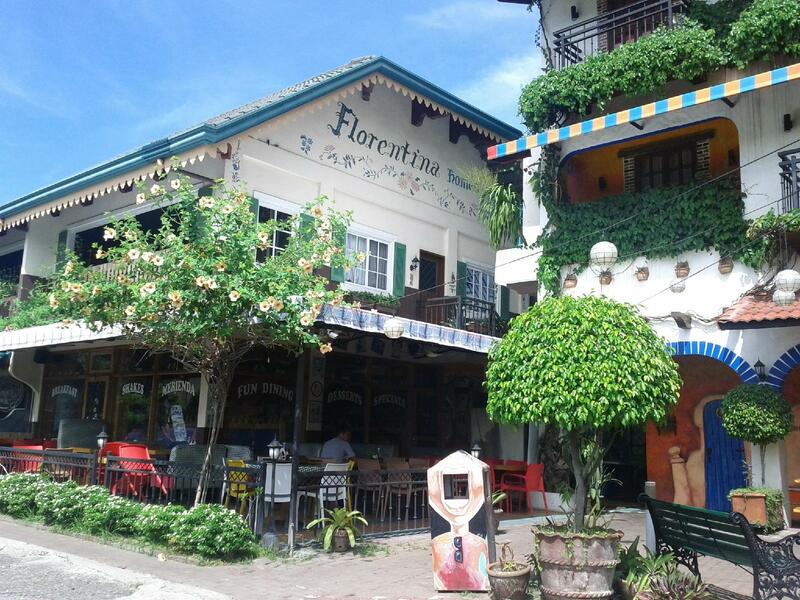 If you need to be in the city then we recommend Florentina. This place is great with a couple of minor issues. The place is built of concrete. Every noise in the halls reverberates through the thin doors. Don't plan to doing any sleeping in. Kids running up and down the hallways and doors closing will wake you quite early. The internet wifi is VERY slow. They blame it on being full. Had to be by the window to get a signal in the room. There are Ethernet wired connectors in the room, but after buying a cable because they said they were connected, we found out they actually are not. Service at the bistro was terrible. Very slow. But that it typical in the Philippines. Had to track down the waiter or waitress many times. Finally, we were there to visit family. Brought the kids over to swim along with their parents. Found out afterward they were charging us 200 pisos for each adult! There are plenty of places to swim for much less. And the positives... Very comfortable. Front desk staff was accommodating and friendly. We arrived early in the morning, exhausted from lack of sleep, and while they could have just turned us away until the 2pm check in time, they actually put us up in another room until ours was ready! The place is very clean and everything we needed was provided. We rented a motorcycle while we were there. They provided a recommendation and they dropped off and picked up the bike through the front desk. All in all, I will stay there again, I'll just have to bring some ear plugs and not expect American type customer service. staff are good,place is good.the room is good.all is in perfect for me.atmosphere is good. perfect i love it.ayaw ko pa nga umuwi sa ganda eh!nice place talaga.will introduce to my family and friend too.if i have time i would have stayed for long stay.wish they could build like these here in manila and here in japan too.such a nice place.good staff too.nice food.with nice people around friendly.be back when got my next holiday. Comfortable room, great restaurant, nice pool area. Quite a unique hotel. 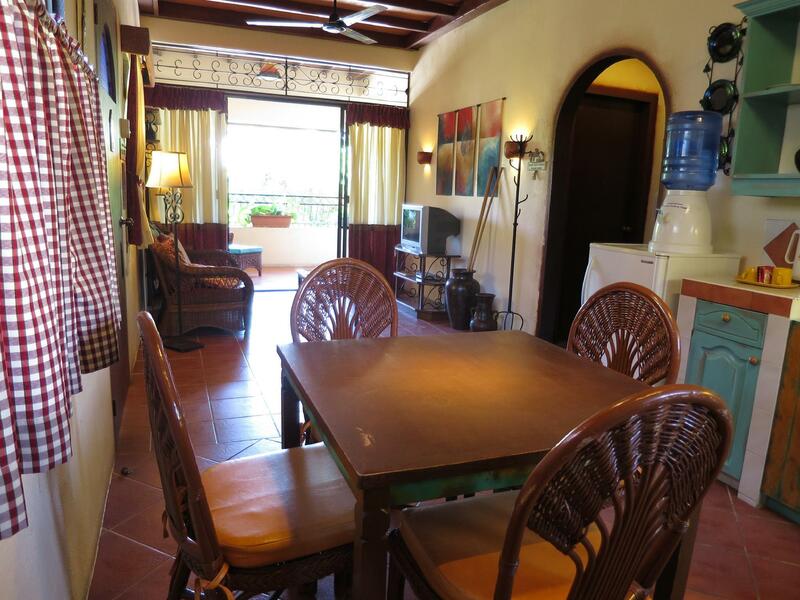 Architecturally a fun mix of Spanish, English and European styles of villas and rooms. Suited to the area, relaxed layback feel. Great place to host a huge party in the beach area. The only thing wrong was as always in hotels, vey slow Wi Fi connection, but that was the only downside to a great stay.